What feels finer than sinking into a warm, relaxing bath at the conclusion of a long, busy day? 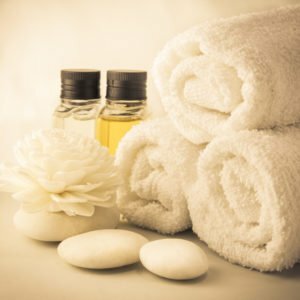 While most of us relish the luxurious comfort that bathtime brings, for seniors, especially those struggling with the challenges of dementia or Alzheimer’s disease, it’s certainly not blissful. For many different reasons, such as memory issues, feelings of vulnerability, or physical distress from the pressure or temperature of the water, helping a senior with the personal care tasks of bathing can feel a lot more like entering a battleground. It might take several attempts to uncover what makes your senior loved one most secure. A healthy dose of persistence and a sense of humor can go a long way towards helping the senior relax. She or he will pick up on any frustrations you’re feeling, which could escalate the level of agitation for the two of you. For more tips on changing tears to smiles during bathtime, contact Hired Hands Homecare. Our professional California in-home senior care specialists can assist with a complete range of personal care services, including bathing, toileting, dressing, hair and skin care, plus much more. Partnering with Hired Hands Homecare, serving Marin, Sonoma, Napa counties and the Tri-Valley, enables family to spend more quality time with their senior family member, and to take a much-needed break to rest and recharge. Call us at 866-940-4343 to learn more.